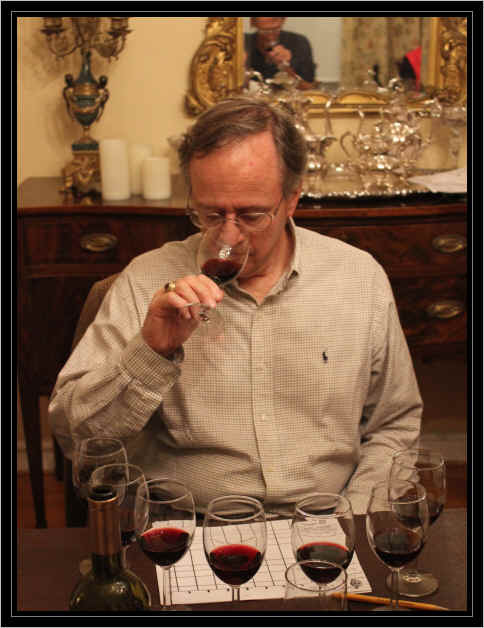 Tasting host Jack Sweitzer is a big fan of Zinfandel and we had not tasted these in a while, so we assembled what we hoped would be an interesting set of wines. 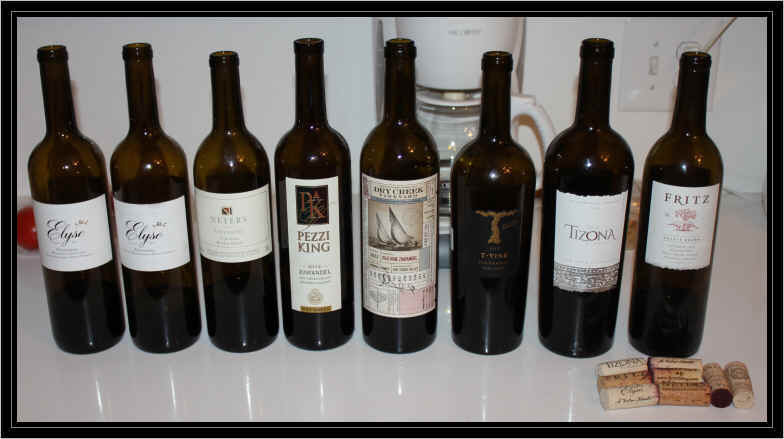 These included three from Sonoma's Dry Creek Valley, a reference point region for Zinfandel. 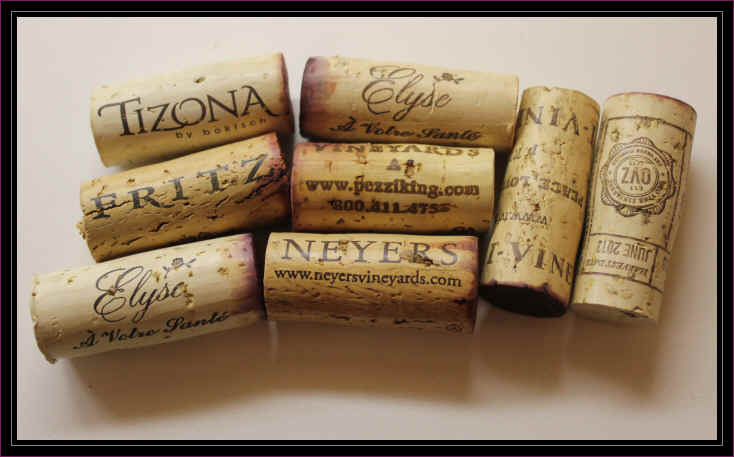 I had recently tasted a delightful Zinfandel from Napa's Elyse winery, so we included a couple of their wines. And though we've not been enthusiastic for the wines of the Lodi region, we had high hopes for a new wine made by Bokisch, a specialist who's making some good wines from Iberian varieties, and Neyers whose Syrahs and Pinot Noirs we've liked. The overall quality of the wines was good and everything was well-made apart from some residual sugar in a couple of the wines. 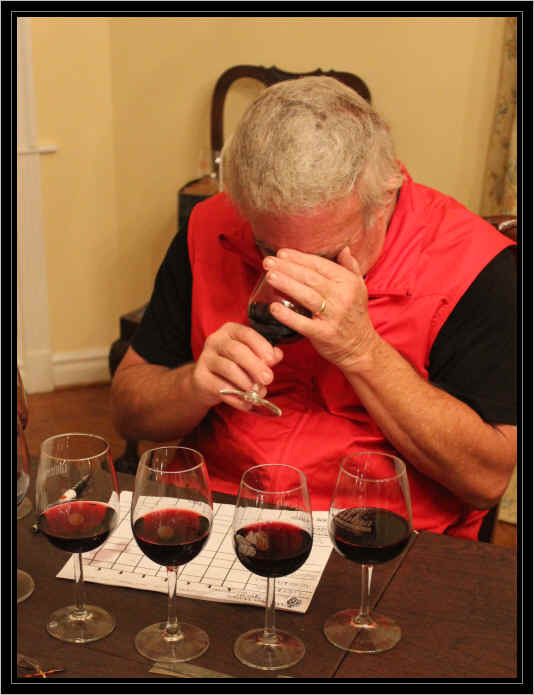 The distribution of scores was such that the first place wine was only two points ahead of the fourth place wine and a mere seven points ahead of the fifth place entry. 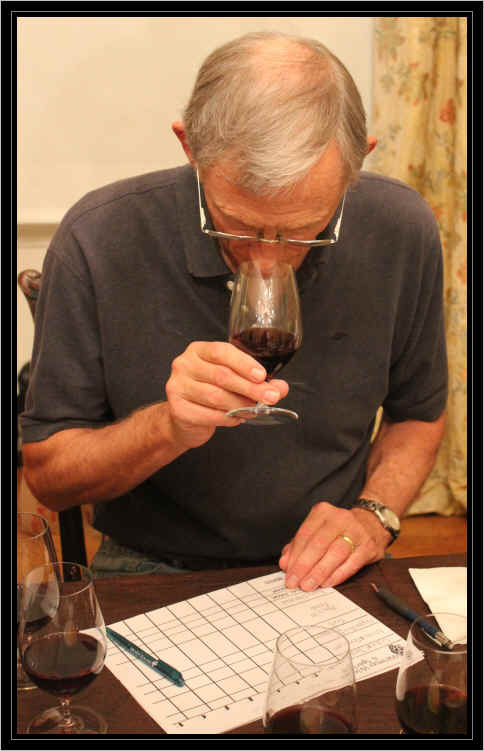 This means that the ranking of a single tasting could have a big impact on the results. 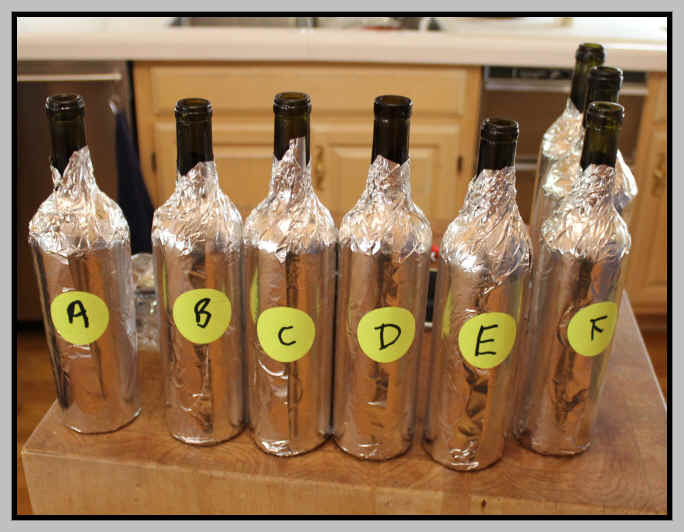 So, essentially the first four wines were in a tie for the top spot. 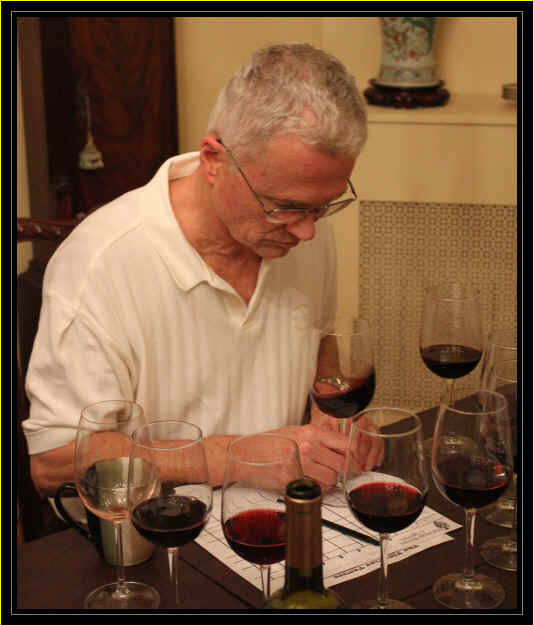 The wine at the tail-end of the rankings was my second-place wine...and I nearly ranked it first! It was a really nice, elegant Dry Creek Zinfandel. Clear in appearance and showing a light ruby color, the nose of this was stellar, showing brambly, berryish notes and some woodsy tones...very complex. It's dry and has balanced acidity. Medium+ in body, the wine offers nice red fruit on the palate with crisp acidity and a touch of oak. It's mildly tannic, but drinking it now or over the next couple of years is fine. I gave it one-and-a-half stars on my three star scale, no stars being a standard to ordinary quality wine. 7th Place: TIZONA by Bokisch 2012 Lodi ZINFANDEL "Kirschemann Vineyard"
Light ruby in color and clear in appearance, I described the nose of this as "superficial." It had a vaguely floral quality, but didn't have much in the way of Zinfandel fragrances...it wasn't especially berryish or spicy and it didn't strike me as complex. I did peg it as a Lodi wine, but it's not the sort of wine showing the "Chocolate Cherrios" character of many commercial Lodi red wines. It's dry and mildly acidic...medium-light on the palate. 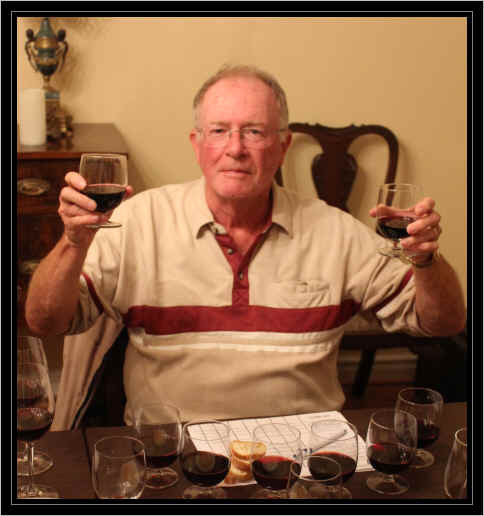 It's a standard "red table wine," but not a wine showing Zinfandel varietal character. Well-vinified, perhaps, but there's not much in this big, heavy, clunky bottle. No stars. Clear in appearance and medium-ruby in color, on the first pass through these wines this showed a nicely berryish quality. But as it aired, I detected a very ripe to over-ripe quality to the fruit as it displays a mildly raisiny note. It's dry and has a bit of acidity, but I suspected the winemaker adjusted the acid level upwards. The wine tasted disjointed to me as a result...you have very ripe elements here and then this stark, crisp, sharp acid. Nice try, but I didn't care for this. No stars from me. Very deep , youthfully ruby red color, this wine had a lovely fragrance of red fruits and classic, "Dry Creek" berry notes. Spot on. It's dry and has a good level of acidity. Medium+ body. Nice crisp Zinfandel with berry and spice flavors. It's mildly tannic, so while it's delicious presently, it can probably unfold a bit more with a year or two in bottle. One-and-a-half stars. Clear in appearance and showing a slight bit of age to its medium ruby coloring, this seemed to offer a rather jammy and ripe quality on the nose. It's close to dry with decent acidity. Medium+ bodied. The flavors don't mirror the aromas...it doesn't seem as jammy on the palate and it has good fruit without the raisiny notes. It's also lightly tannic. I'd give it maybe three-quarters of a star, just short of a one star rating. Medium ruby red with a brilliantly clear appearance, this shows a "sweet" quality on the nose with a mildly creamy sort of fragrance....vanilla cream. It's got a bit of residual sugar with decent acidity. It's a medium-bodied wine, probably seemingly more robust due to its sweetness. Yet in terms of flavor the fruit comes through with a tart berry or pomegranate sort of quality. It's another disjointed wine as there are sweet elements and, in fact, some residual sugar, but there are tart and slightly shrill notes here, too. Being generous, this gets a half-star rating. Clear in appearance and medium-light ruby in color...the fragrances here are complex and intriguing. There's a beautifully spicy character, with berries and a touch of pepper. 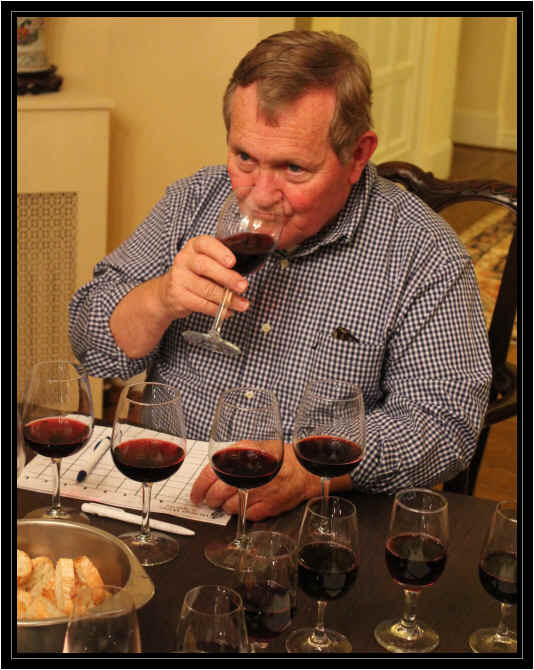 That pepper spice seems to be common with Howell Mountain-grown Zinfandels...we find that spice in the Zinfandel from the Outpost winery as well as Lamborn. 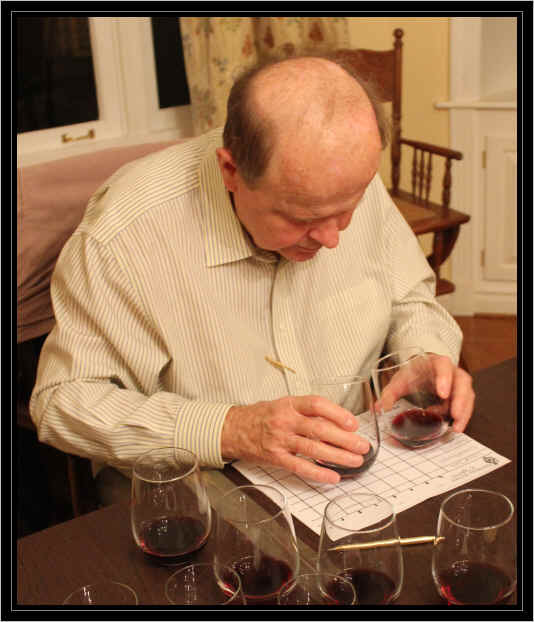 It's from the somewhat maligned 2011 vintage and yet the wine was full-bodied and beautifully balanced. The spice notes come through on the palate, too. Ready to drink now, it may be cellared a few years. Two+ stars. 1st Place: ELYSE 2012 Rutherford/Napa ZINFANDEL "Morisoli Vineyard"
Medium ruby red and clear in appearance, this "other" wine from Elyse was also very fine. The nose offered sweet tones with berries and some sweet wood. It's dry and has nice acidity. Medium+ bodied and the berry notes come through on the palate. Good red fruit flavors...raspberry and black cherry? The tannin level is mild, so drinking it now is fine. It doesn't seem to be a wine intended for extended cellaring. One and a half stars.